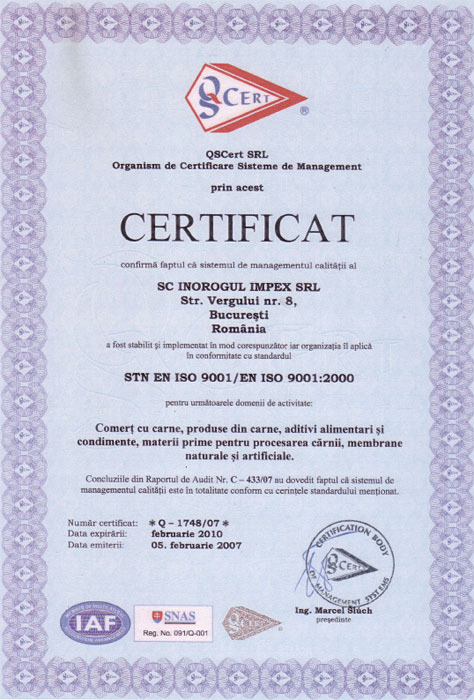 To achieve its goals regarding the quality, Inorogul Impex SRL is maintaining a quality management system in conformity with the SR EN ISO 9001:2001 standardized and implemented within our company since 05.02.2007. Quality in our terms means to offer our clients services that are meeting up to their needs. Quality is not a random value, but the result of rules and structures elaborated and developed, step by step during the existence of our company and it has a solid background which ensures its safety. 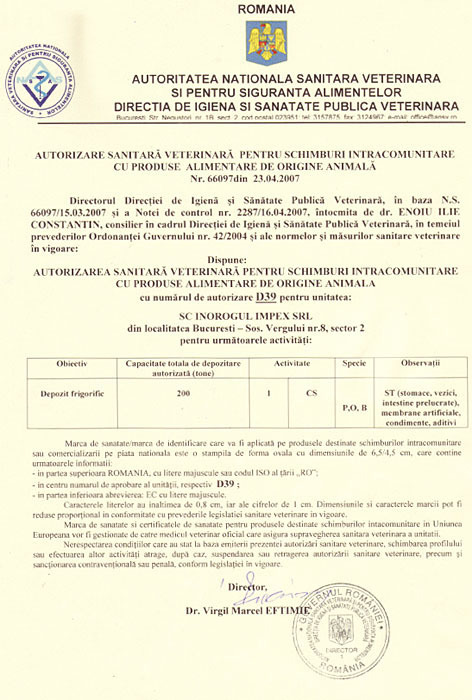 Obtaining and maintaining the quality represents the commitment and the involvement of all the members of the company and it represents the essential part in a good administration to which the quality management answers by planning and defining the necessary responsibilities and competences, resources allocation, preparation of the personnel for the usage of the available material means in an efficient and adequate way. The management system is applied in all departments and for all deployed activities. The company's management team is responsible for the resources allocation and the providing of necessary information for the development in optimal conditions of the activities and processes of the company. All the processes are closely watched, measured and analyzed on a regular basis, so that there will be implemented actions to achieve the planned results and to improve the SMC. The quality of the services represents the concern of every person in the company. The company believes that the Excellency in quality is achieved by reaching the sense of duty in each employee. And by supporting this goal, it will educate and train their entire employee in all the aspects requested by quality control.